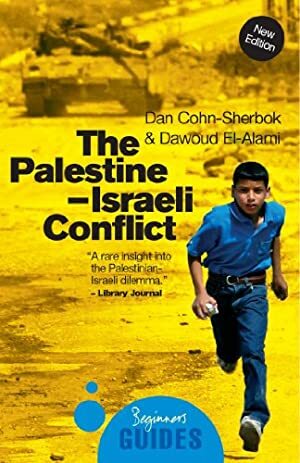 With coverage of all the recent events, the new edition of this best-selling book gives a thorough and accessible account of the history behind the Palestine-Israeli conflict, its roots, and the possibilities for the future. The book is divided into two parts  the first by an American rabbi and Professor of Judaism, and the second by a Palestinian lecturer on Islam. The result is a real insight into the situation, with each author giving full vent to the emotions behind the two sides of the debate. Two new chapters outline recent developments, while an updated conclusion consists of a direct debate between the two authors, which raises many issues, yet offers real solutions to which future peace talks may aspire. Log In to track Dan Cohn-Sherbok on eReaderIQ. to be notified each time the price drops on any book by Dan Cohn-Sherbok. to stop tracking Dan Cohn-Sherbok. We started tracking this book on August 20, 2012. This book was £7.89 when we started tracking it. The price of this book has changed 149 times in the past 2,439 days. The current price of this book is £4.31 last checked 9 hours ago. The lowest price to date was £2.69 last reached on December 15, 2016. This book has been £2.69 4 times since we started tracking it. The highest price to date was £9.49 last reached on May 26, 2016. We last verified the price of this book about 9 hours ago. At that time, the price was £4.31. This price is subject to change. The price displayed on the Amazon.co.uk website at the time of purchase is the price you will pay for this book. Please confirm the price before making any purchases.